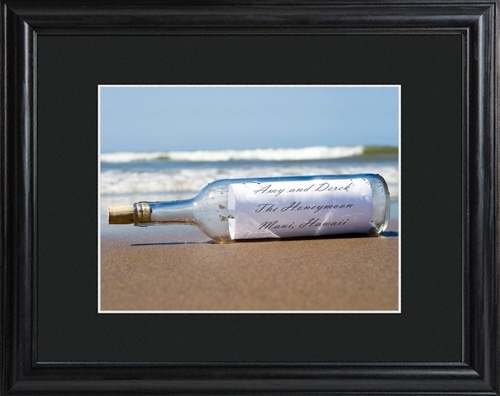 * Our Message in a Bottle image announces your special event or sentiment loud and clear. 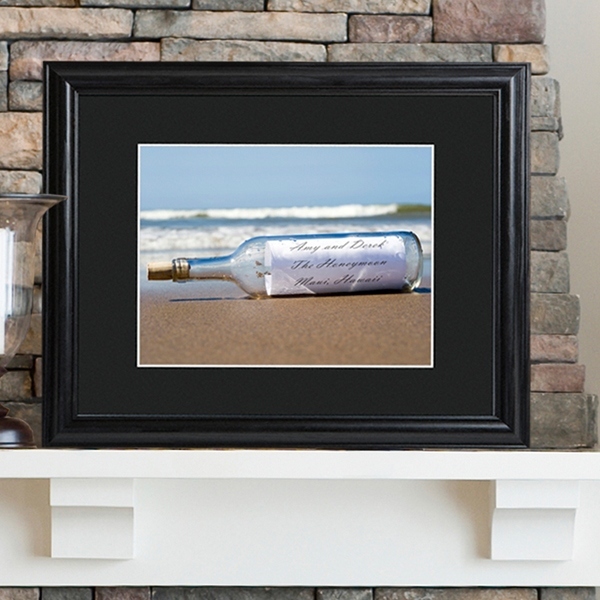 * This personalized image is handsomely framed and matted and ideal for expressing love, announcing a birth, or marking a landmark trip, like an island vacation or honeymoon. 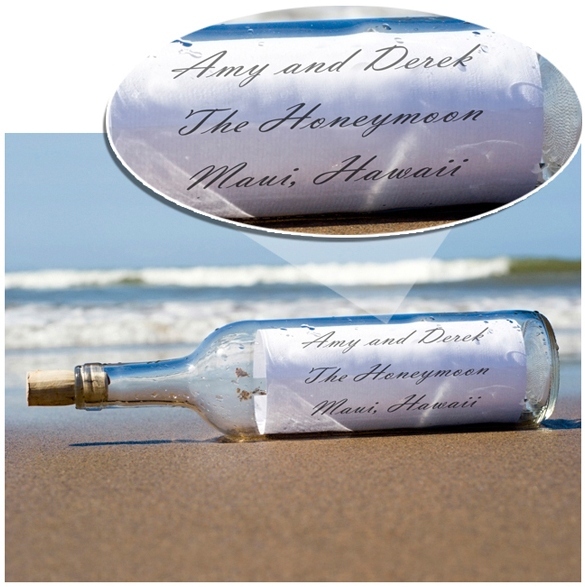 * Personalization is in attractive script and includes 3 lines of up to 20 characters each. * Includes a custom black, beveled 23" x 19" wood frame with 3" mat and acrylic front. * Matted image measures 13 3/4" x 11 3/4".